When you open a new Chrome tab on your phone, in addition to recent bookmarks, you’re offered up a list of suggested articles. If you prefer a distraction free new Chrome tab, you can enable a collapsible feature to hide those suggestions, or you can remove them altogether. 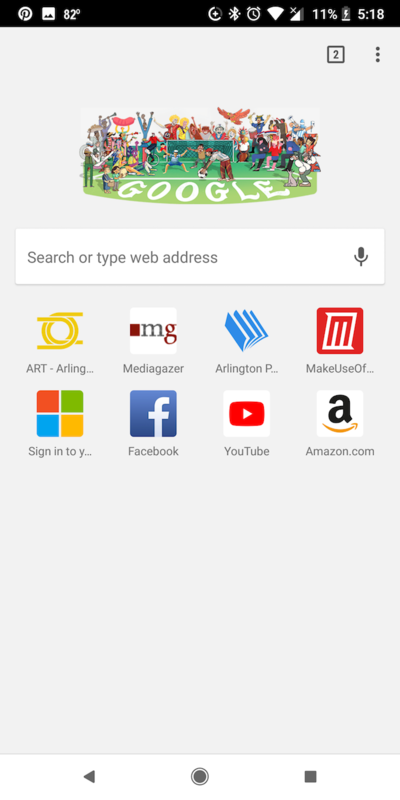 When you open a new Chrome tab on your Android phone, you’ll see a list of ten suggested articles. If you don’t want these suggestions front and center, but still want to be able look at them every now and then, you can enable a collapsible feature. 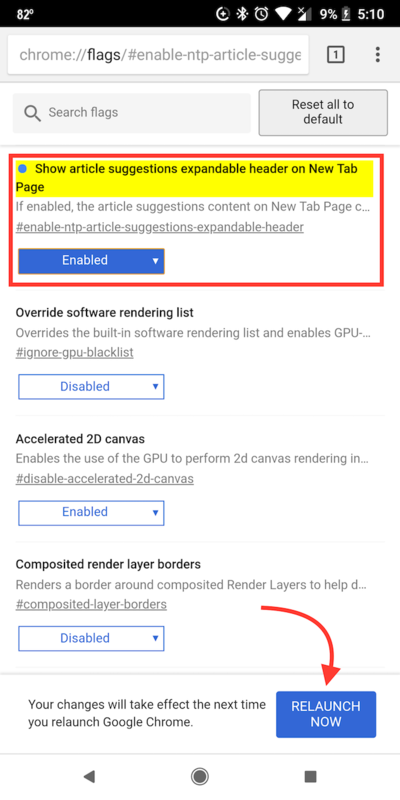 Under Show article suggestions expander header on New Tab page make sure that the feature is Enabled. 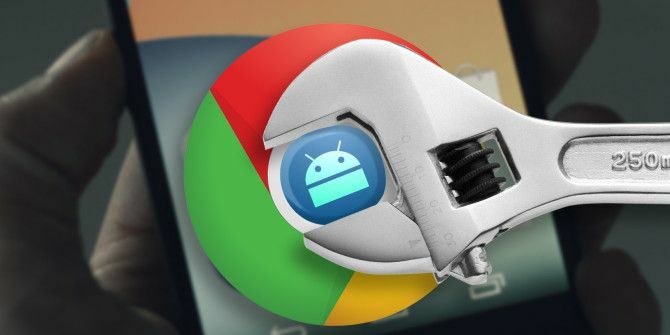 Tap Relaunch Now to restart Chrome so the feature can take effect. If you prefer, you can use a different setting to completely remove the Articles for You suggestions. 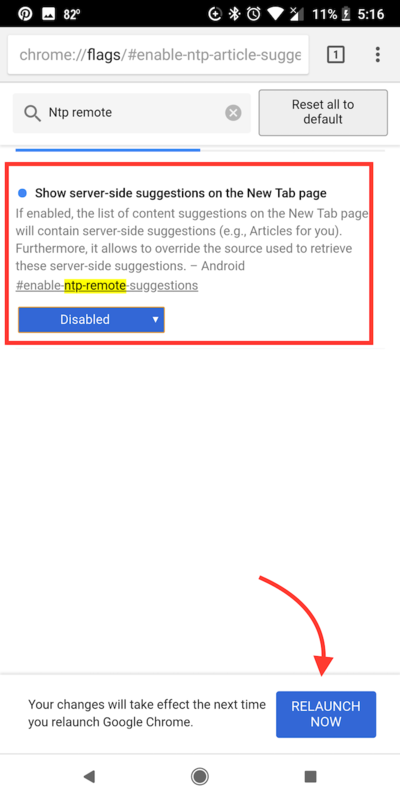 Under Show server-side suggestions on the New Tab page select Disabled. There are plenty more ways you can customize your Chrome mobile experience with the use of flags. If you’re looking for a way to speed up Chrome and much more, you can check out all the flags available by going to chrome://flags in your Chrome browser. Then follow out guide to the best Chrome flags to check out The 12 Best Chrome Flags to Upgrade Your Browsing Experience The 12 Best Chrome Flags to Upgrade Your Browsing Experience Chrome's Flags menu is a great place to find cool experimental features. Here are the best Chrome flags to check out. Read More . Thank you; the suggestions were driving me crazy! Finally! These stupid articles were driving me nuts. Your cut and paste option worked. For anyone who tries this method, re-launches chrome, and still sees articles, don't get discouraged (or pissed off like I was). There is a small arrow on the right of the articles. Simply click the arrow and the articles are removed/hidden forever! Thanks again! Does not work unfortunately in latest builds. After relaunch, I still see the google articles in Chrome for Android. In fact, even if I choose "Not interested in any stories from" and choose any source, something like CNN, VOX, I still see articles from them on the next launch. Ditto. Doesn't work. Samsung S9+. Android 8.0.0. How can one remove the same thing in the Firefox browser - especially on Google News?